All domestic taxes- no hidden fees! 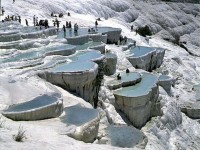 Early in the morning we will transfer you from your hotel to the airport for the 1 hour flight from Istanbul to Denizli. 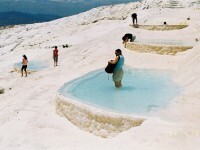 When you arrive at the Denizli airport we will be waiting to transfer you to our office in Pamukkale. Here you will have some free time before we begin our tour to get breakfast, breakfast not included. 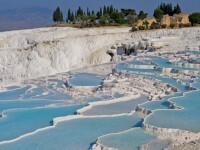 We begin our guided Pamukkale & Hierapolis Tour. 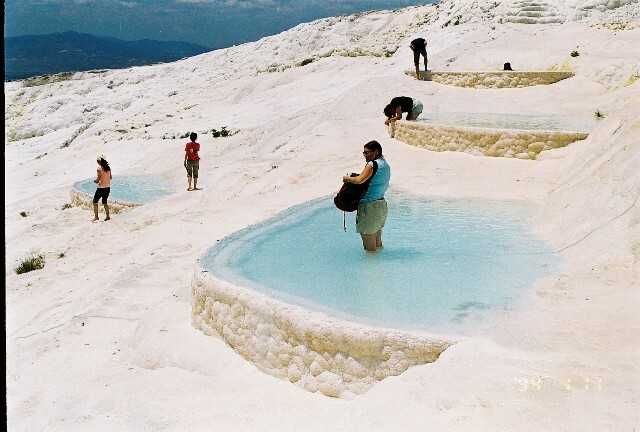 Explore the ancient city of Hierapolis and experience the cascading Cotton Castle, Pamukkale on today’s tour. 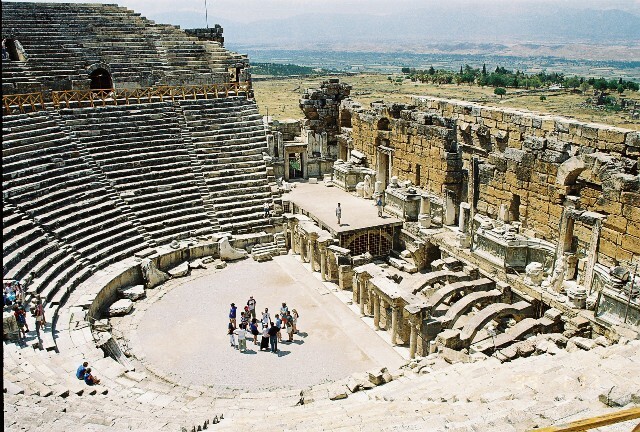 We begin with the ancient ruins of Hierapolis where we visit the gates, bath, basilica, and the theater of Hierapolis from which you can see the tomb of St. Philip. We also visit the necropolis; here we see some of the best preserved tombs in Anatolia with more than 1200 roman sarcophagi, burial chambers, temples, and early Christian burial grounds. 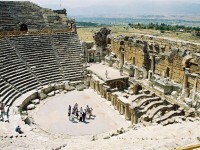 Your guide is an expert on the local region and will help bring the ruins to life as you imagine the daily life of the city and importance of the sites such as the Temple of Apollo. 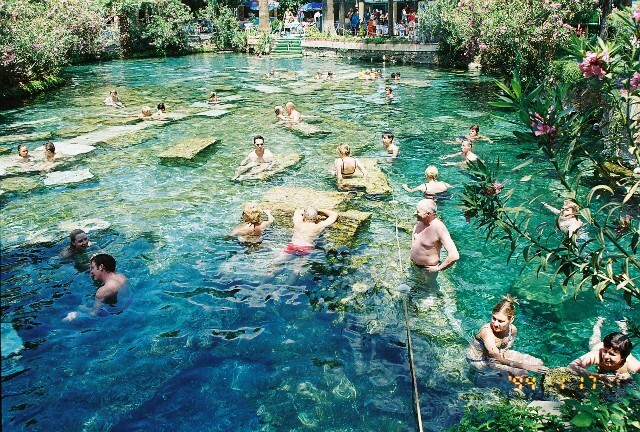 We continue our tour with an optional stop at the Ancient Pool or Cleopatra’s Pool where you can swim among that antique ruins and immerse yourself in the thermal waters (entrance not included). 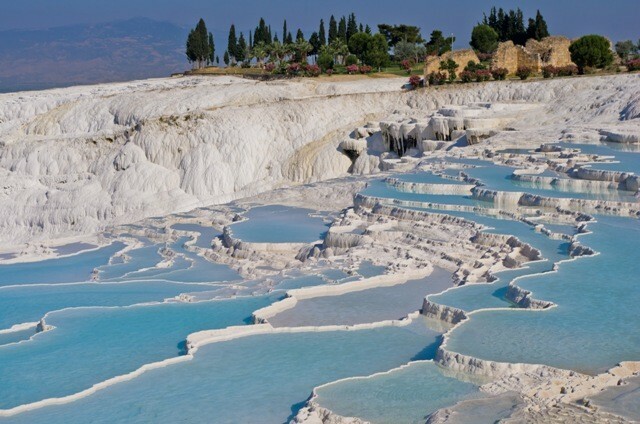 We continue down the calcium terraces, travertines created by the cooling of the minerals in the warm spring waters, you have time to bath in this natural spa. 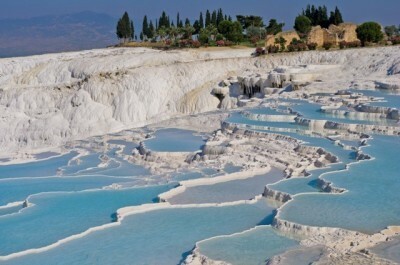 Take in the beauty and wonder which gave Pamukkale its name as the Cotton Castle. 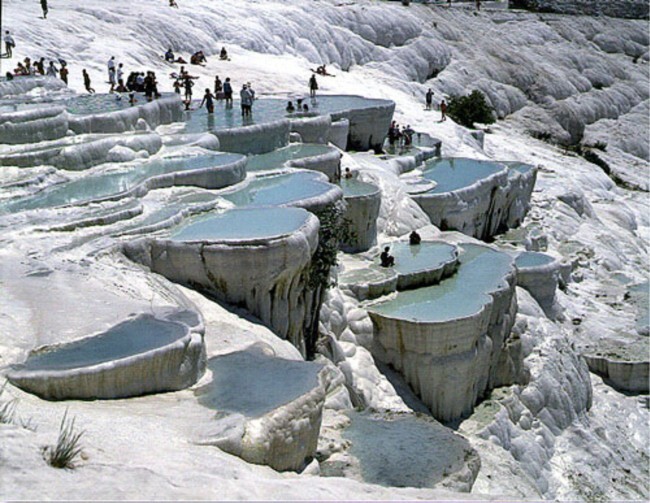 At the end of our tour we will transfer you to the Denizli airport for your 1 hour flight to Istanbul. When you arrive in Istanbul we will be waiting to transfer you back to your hotel.